Businesses can choose to structure their companies as S-Corporations or C-Corporations, depending on their ideal business tax structure. S-Corps are considered “pass-through” entities, where the business’s profits and losses are reported on the business owner’s income. C-Corps are taxed both at the corporate level, and on the owners’ personal income tax returns, if corporate income is distributed to the corporation’s shareholders as dividends. If you choose to structure your business entity as a corporation, you’ll be faced with an important decision—whether to set up your business as an S-corp vs. C-corp. This choice has big implications for how much you’ll pay in taxes, your ability to raise money, and the ease with which you can expand your business. And when you’re a small business owner—not a lawyer or accountant—it can be hard to understand the differences between S-corporations vs. C-corporations. Fortunately, the differences come down to three main areas: formation, taxes, and ownership. In most other respects, S-corps and C-corps are similar. 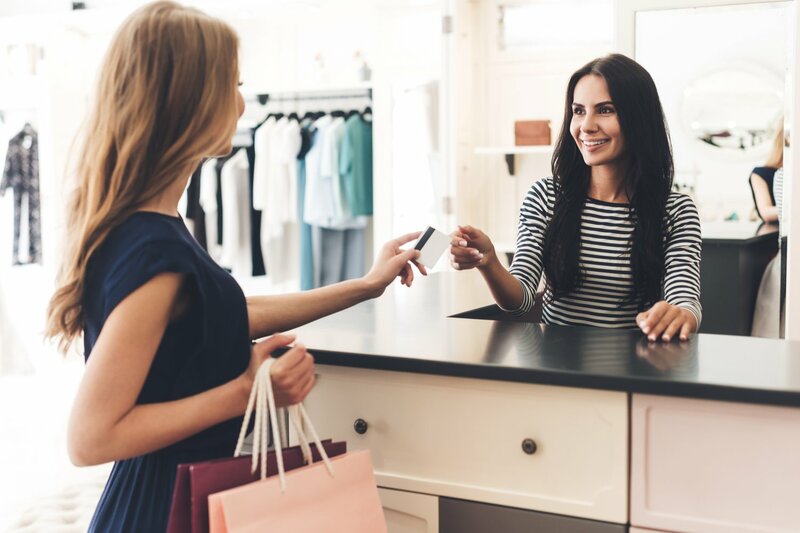 Although you might not be looking at the granular things your accountant or lawyer looks for, small businesses owners do need to know certain things about how these two business entities compare. That way, you’ll have the tools to choose which type of corporation is right for you. Discover the similarities and differences between an S-corp vs. C-corp, plus learn about how the Trump tax plan, (which goes into effect next tax season) could impact your decision. A C-corporation is the standard, most common type of corporation. Shareholders who have purchased stock in a company own the corporation, and these shareholders enjoy limited liability protection. Put simply, this means that shareholders of corporations are not personally liable for the business’s debts or obligations. This is a major selling point of a corporation. Although the shareholders of a C-corporation own the business, they don’t make most of the decisions. 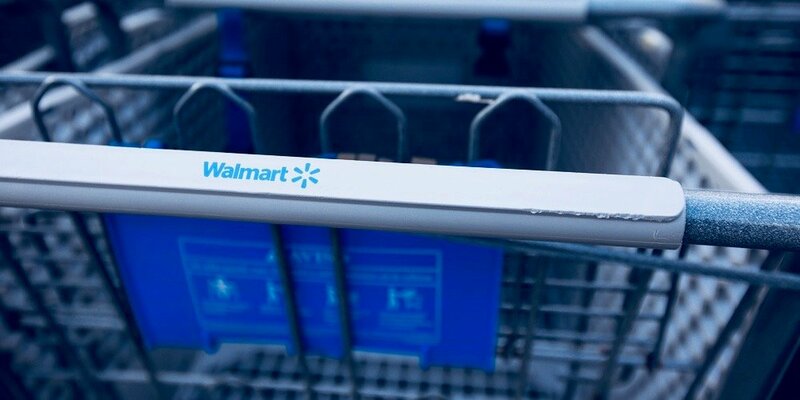 Management and policy issues are left to the company’s shareholder-elected board of directors. And the normal, day-to-day work of running the business is on the officers of the C-corporation—like the CEO, COO, and CTO. If you want to structure your business as a C-corporation, you have to file articles of incorporation with your state government. And once you’re up and running, you have certain compliance and documentation obligations as a corporation—like issuing stock, paying fees, and holding shareholder and director meetings. The owners of a corporation can elect to structure the business as an S-corporation. S-corporations are also called subchapter S corporations, after the section of the tax code that regulates these types of businesses. Like C-corps, S-corps also come with limited liability for shareholders. The big difference, however, is that the owners of an S-corp can take advantage of pass-through taxation. This means the profits and losses of the corporation are reported on the owners’ personal tax returns. There’s no corporate income tax on S-corps. An S-corporation has similar documentation and compliance obligations as a C-corp. S-corps need to file their articles of incorporation, and also need to issue stock, hold shareholder and director meetings, etc. The differences between S-corps vs. C-corps come down to three major categories: formation, taxation, and ownership. The last two are the most important. While C-corporations are subject to the corporate tax rate, S-corps allow for pass-through taxation, where business profits and losses are reported on the owners’ personal income tax returns. It’s also easier to raise money from investors as a C-corporation. 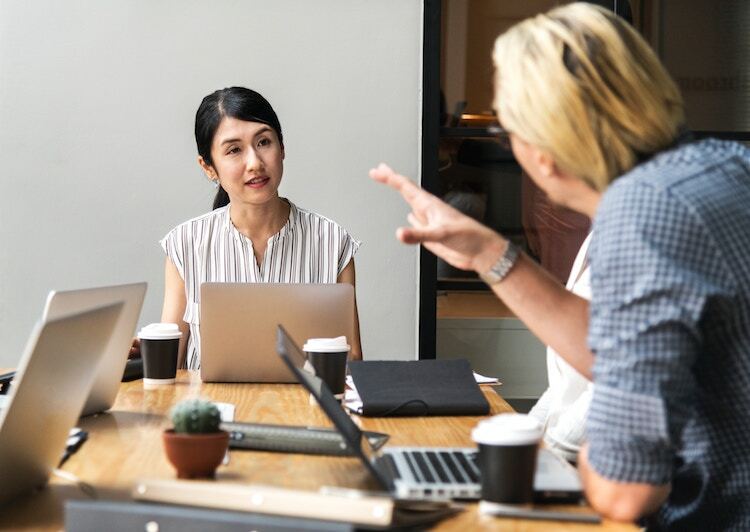 Let’s dig into these differences between S-corporations vs. C corporations a little more, since these are ultimately what will have the biggest impact on your business’s bottom line. The most basic difference between S-corps and C-corps is formation. The C-corp is the default type of corporation. When you file articles of incorporation with your secretary of state, your company will become a standard C-corp.
To structure your company as a S-corp, you must file IRS Form 2553. After filing the form, you will become an S-corp for federal tax purposes. You might have to file additional papers at the state level to be treated as S-corp for state taxes. Whether you choose to structure your company as an S-corp or C-corp, you’ll need to follow some of the same steps for corporate formation. You’ll need to file articles of incorporation, appoint a registered agent, and create corporate bylaws. Our step-by-step guide to incorporation has more details. Taxation is the biggie when comparing S-corps vs. C-corps. Many business owners choose to structure their companies as S-corps to save money on taxes. C-corps are subject to “double taxation.” First, the C-corp is taxed at the corporate level when the owners file a corporate income tax return (Form 1120). A C-corp can then be taxed again, on the owners’ personal income tax returns, if corporate income is distributed to the corporation’s shareholders as dividends. The only ways to avoid double taxation is if you don’t make any profits (i.e. operate at a loss) or if you reinvest profits back into the business instead of providing a dividend. Wages and salary, including the owner’s salary, are generally considered deductible expenses, so you won’t have to pay taxes on that. However, the IRS can “re-label” excessive salaries as a taxable dividend. Paying taxes as an S-corp is a bit different. Shareholders report their share of the business’ income and losses on their personal tax return. This is called pass-through taxation. Owners only have to pay taxes at their personal income tax rate—they aren’t subject to a corporate tax. As a shareholder of a S-corp, your business’s income is taxed on your personal income when you file Form 1120S. The Tax Cuts and Jobs Act—which you might know as the Trump tax plan—will bring changes to both C-corp and S-corp taxation. The new laws take effect when business owners file their taxes in 2019 (for the business’s 2018 year). The corporate income tax rate for C-corps has been cut from 35% to 21%. This is a permanent change. Owners of S-corporations and other pass-through entities (like LLCs, sole proprietorships, and partnerships) will be able to deduct 20% of business income on their personal tax returns. This deduction expires in 2025, unless Congress extends the law. Many small business owners, however they’ve structured their businesses, will pay lower taxes under the new rules. But how will the new law affect your choice between S-corporation vs. C-corporation? The law provides for a large tax cut for C-corps, but you can’t escape double taxation as a C-corp. The company will first be taxed at the 21% corporate tax rate, and dividends are subject to taxes on the personal income tax return. However, if your business is in growth stage and you’re planning to reinvest most profits back into the business, the C-corp tax cut could work in your favor. The 20% deduction for S-corps and other pass-through entities lets you save money. Businesses with less than $157,500 in annual income (for single filers) or $315,000 (for married joint filers) can take full advantage of the deduction. There are limits to the deduction based on the type of business, the amount of income, and the amount of wages you pay to employees. Professional service businesses like lawyers and doctor’s offices have the most limitations. When deciding between an S-corp vs. C-corp, make sure your lawyer and accountant take into account the new tax laws. Let’s take a simple example to better understand the tax differences between S-corps vs. C-corps. Suppose your business, a C-corp, has a taxable income of $100,000 (calculate taxable income by subtracting deductible expenses from your business revenue). A C-corp would first have to pay the 21% corporate income tax rate, bringing the tax bill to $21,000. That leaves $79,000 left over. If you take all of that money as a dividend, it will be subject to a dividend tax rate, normally 15%. Your dividend tax bill be $11,850, bringing the total tax bill to $32,850. In contrast, assume you have an S-corp with a taxable income of $100,000. That entire amount will flow through to your personal income tax return. For the 2019 tax year, that would put you in the 24% tax bracket, and the tax bill would be $18,289.50. In this example, an S-corp saves you more money in taxes, but this isn’t always the case. The only way to know whether a S-corp vs. C-corp structure is better from a tax standpoint is to crunch the numbers for your business, based on your projected profits for this year and future years. Your accountant or business lawyer will help you figure out the structure friendliest to your bottom line. Another major difference between S-corp vs. C-corp structures is the restrictions on corporate ownership. C-corporations provide a bit more flexibility if you’re looking to expand your business or sell it to another company. C-corporations have no restrictions on ownership. You can have an unlimited number of shareholders, as well as different classes of shareholders. Venture capital firms and angel investors prefer to hold preferred stock in a corporation, which is only an option for C-corps. That makes it much more difficult to fundraise as an S-corp.
S-corporations can have only up to one hundred shareholders. Shareholders of an S-corp must be United States citizens or resident aliens, whereas C-corps are open to foreign investors. S-corporations are limited to one class of stock, meaning that there’s only one kind of shareholder. There’s no hierarchy or difference between shareholders of the business, which makes fundraising harder. If you plan to sell your business down the line or spin off a subsidiary, a C-corp could be a better choice. An S-corp can’t be owned by a C-corp, other S-corps, LLCs, general partnerships, or most trusts. C-corporations can be owned by other corporations, LLCs, or trusts. Now that you know the three major differences between an S-corp vs. C-corp, how can you decide between the two business entities? Many small business owners opt for S-corp status to save money on taxes. But, if you’re planning to raise investor money in the future or have plans to grow into a very large company, a C-corp might be the better option. A lot of the benefits and disadvantages of both entities lie in those three differences we just outlined. Here’s another look at the advantages and disadvantages of S-corporations vs. C-corporations. Easier to form. The C-corp is the default type of corporation, so there’s no additional paperwork to fill out. Fringe benefits. C-corporations can deduct the cost of fringe benefits provided to employees—like disability and health insurance. 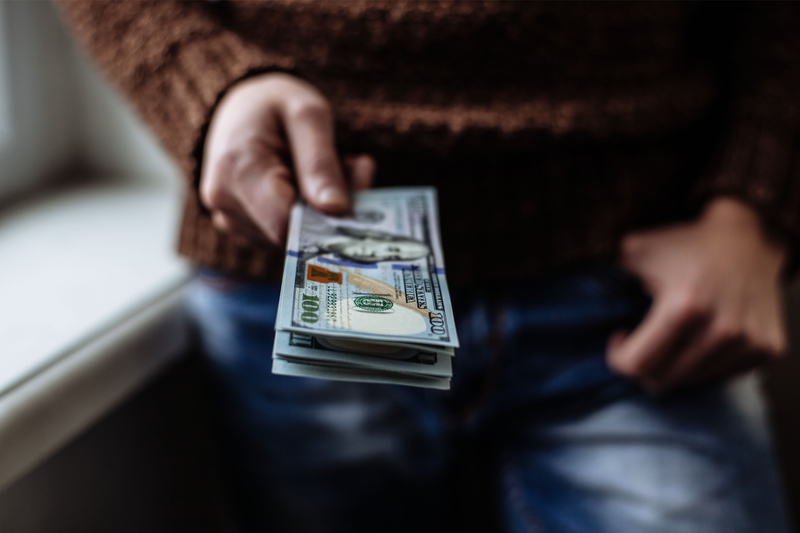 Shareholders of a C-corporation don’t pay taxes on their fringe benefits, as long as 70% of the corporation receives those same fringe benefits. Easier to raise money. It’s easier to raise money for your business if it’s a C-corp, since C-corps can issue multiple classes of stock to an unlimited number of shareholders. Plus, investors face no liability for the corporation’s mistakes—making it much easier to put money toward the business. Another benefit to note is that other businesses can own C-corps outright, which might be a better fit for companies looking to be acquired. No shareholder limit. C-corps can have as many shareholders as they want. Also, C-corps can have foreign (non-resident alien) shareholders, making it an ideal business entity for any company that intends to deal overseas. Double taxation. C-corps might pay more in taxes due to double taxation. The company’s revenue will be taxed at the corporate level and then again at the personal level if it’s distributed as shareholder dividends. No personal write-offs. Another tax-related downside is that owners can’t write off the losses of the business in their personal income statements—offsetting income from other sources. Bigger companies benefit from having unlimited growth potential under a C-corp but typically pay a little more in taxes, reducing their net income. They also spend a little more effort complying with more regulation. But this calculus could change with the new tax laws, however, as C-corporation owners will end up paying less in taxes. Pass-through taxation. The taxation structure of a S-corp is undoubtedly its biggest benefit. S-corps don’t have to pay taxes on the business’s income twice. Avoiding double taxation is a huge benefit for smaller businesses. Deduction of business income. The Trump tax plan allows owners of S-corps and other pass-through entities to deduct 20% of their business income on their personal tax return, which can significantly reduce your tax burden. Tax filing requirements. Owners of S-corps can write off their business’s losses on their individual tax returns. This is a benefit for newer corporations that are likely operating at a loss for the first few years. As the owner, you can write off the losses of the business on your personal income statements, offsetting your income from other sources. Harder to form. 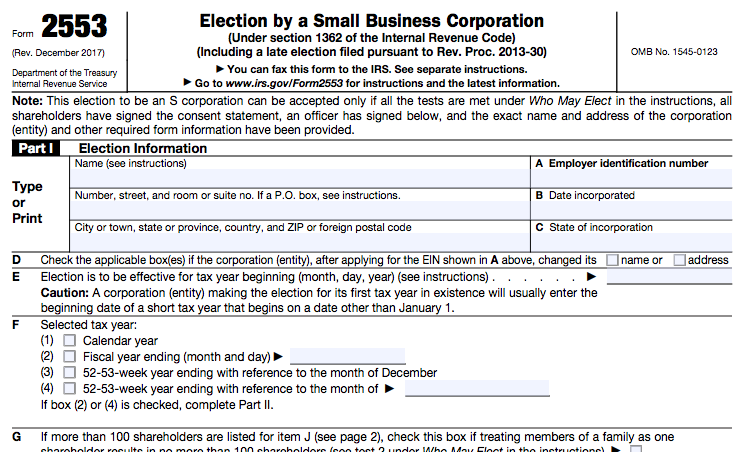 You have to file Form 2553 with the IRS and possibly additional state paperwork to elect S-corp status. You also have to make sure you stay within any restrictions (e.g. such as the 100 shareholders limit) to maintain S-corp status and avoid penalties. Limited ownership. Unlike C-corps, S-corps have a set cap on the number of shareholders they can take on—up to 100 shareholders. Plus, shareholders have to be legal residents of the United States. This poses a problem for high-growth businesses or businesses looking to conduct business affairs internationally. Limited stock flexibility. S-corps also prevent you from issuing preferred stock and different classes of stock, which can make it harder to raise money from investors and incentivize early owners. Tax qualifications. In general, S-corps tend to have more IRS scrutiny. If you make a mistake (like going over 100 shares or missing a filing deadline), the IRS can terminate your S-corp status—and you’ll be taxed as a C-corp.
Before finally settling on a S-corp or C-corp structure, don’t forget to consider other types of business entities. LLCs, in particular, are a very small business-friendly type of ownership structure. LLCs offer limited liability and less burdensome paperwork and regulatory requirements than corporations. You’ve run through the pros and cons of S-corp vs. C-corp structures and are all systems go on one of the two. Now, you actually have to set up your business. The steps vary a bit depending on what state your business operates in. In most cases, you’ll begin by choosing a name for your business and filing articles of incorporation. You’ll also have to draft corporate bylaws, hold your first board of director meeting, and issue stock certificates to your shareholders. Online legal services such as LegalZoom and IncFile make it fast and easy to file incorporation documents if you’re doing things yourself. But ideally, you should hire a lawyer to help you set up your corporation. 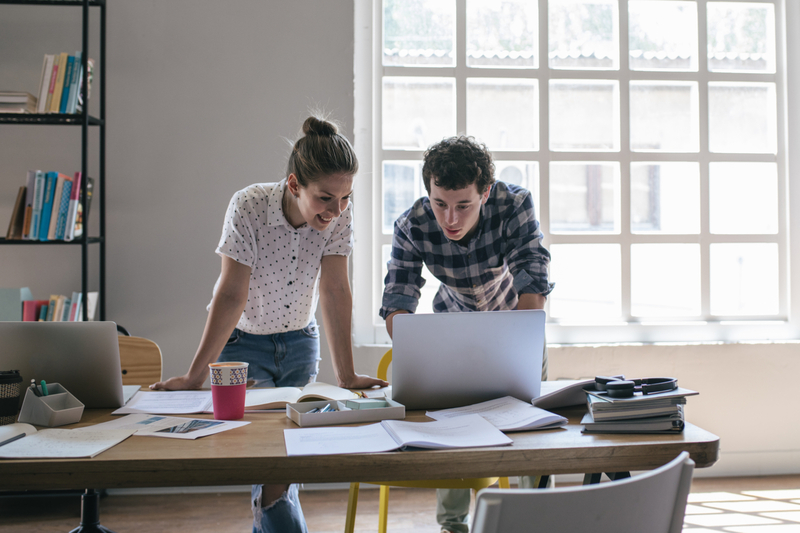 Becoming an S-corp takes one more step after setting up a C-corp. New businesses should file Form 2553 with the IRS within 75 days of the company’s formation date. If you’re an existing business that has switched over to S-corp status, then you should file your form no later than March 15. Some states also require you to file additional paperwork to elect S-corp status. Once you elect S-corp status, it’s certainly possible to go back to a C-corp. However, doing so can have important tax consequences, so make sure to consult your accountant or a tax attorney first. Now that you know the differences between an S-corp vs. C-corp, plus their advantages and disadvantages, you’re well equipped to make a smart choice for your business. S-corps allow many small businesses to save money on taxes, but C-corps give you more options to expand and raise money. Remember, the way you structure your business is a big decision and has big implications on your business’s future. If you don’t feel sure about choosing your business entity or correctly structuring your company, consider talking to a small business lawyer or accountant. Kiva Loans: Are They Right for Your Small Business?